You did an awesome job! Way funnier than I could have pictured it. I like the bike pump, good stuff. 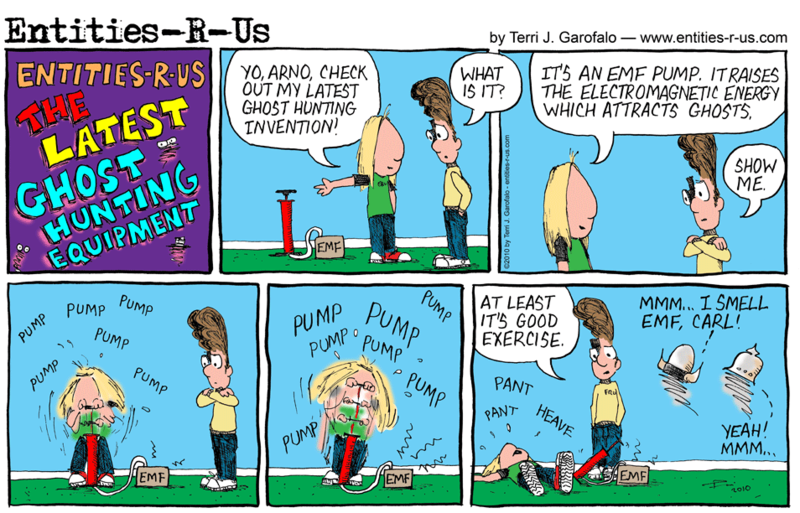 Just wanted to let you know, The Chicago Paranormal Detectives recently ordered one of my emf pumps. They are going to air it next season on A&E. They are from the show Paranormal Cops. Very nice guys. Great job! and keep up the laughs. While thinking about the EMF pump one day, I got the idea of the bicycle pump. After I drew it, I laughed so hard tears came. That’s how one knows the comic is good… 😉 I hope everyone else experiences the same! Oh dear, Yap, It had the same effect on me too. Very good indeed! Excellent web page! Your site was shared by Christian Dillstrom – the mobile and social media marketing ace, so you must be doing an awesome job? I’m working on it. I’m a fan of Social Media. It’s what drives this site.